Outdoor spaces at office buildings and public spaces that smokers frequent need designated smoking structures. Property managers need to have structures designed to house smokers to congregate them in a single location as well as provide them with shelter from the weather while they enjoy a smoke. 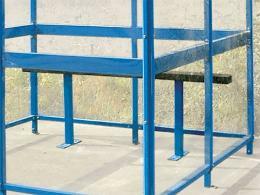 The Workplace Depot is excited to offer the Clear Dome Smoking Shelter, a structure designed to be a practical refuge for smokers. 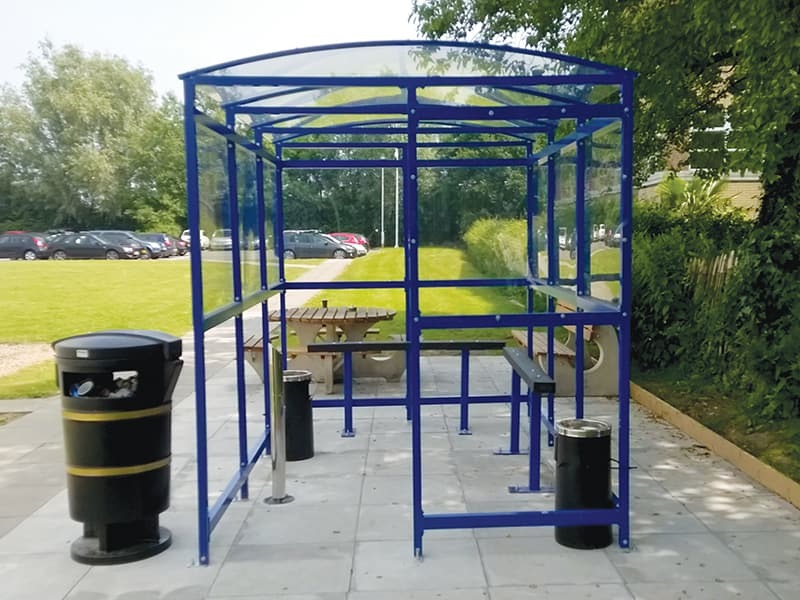 The shelter gives smokers a place to enjoy a smoke while also reducing the negative impacts that their smoke can have on pedestrians that don’t smoke. What is the Purpose of a Traditional Smoking Shelter? The clear dome smoking shelter provides a reliable place for smokers to go to and enjoy a smoke regardless of the conditions outside. Smokers are often left with nowhere to have a smoke at their office or other public places. In these cases, they typically end up huddling under some kind of awning, creating an impromptu smoking area that might be a hinderance to nonsmokers. 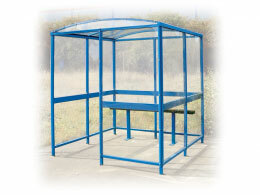 With a shelter in place, smokers can have a routine place to smoke within. The clear dome smoking shelter can be used on and around properties like office buildings, public businesses, and universities. Really any space that hosts smokers with regularity need the clear dome smoking shelter. A structure like this designates smokers to a shelter that protects them from the elements and confines smoking confined to a single, avoidable if desires, space. On properties without a shelter, smokers end up dispersed throughout the area. This shelter is a fit for buildings and other properties housing occupants who smoke. Whether it’s an office, a university, or some other building with outdoor space that consistently hosts to smokers, the clear dome smoking shelter is a must-have. 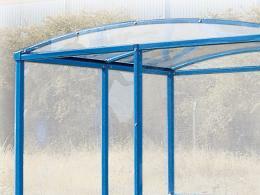 The clear dome smoking shelter features a sturdy aluminium frame with a plastic coated finish. The shelter includes adjustable foot fixing. It can either be bolted down to the ground or concreted in place.